Australia is in the midst of a Sugardemic. The average Australian consumes somewhere around 16 teaspoons of added sugar every day, more than double that recommended by the World Health Organization. Not surprisingly, two thirds of Australian adults and a quarter of our children are overweight or obese. The annual cost of obesity to this country has been conservatively estimated at $8.6 billion. The rise in obesity is seriously undermining our health, increasing the risk of numerous disabilities like diabetes, high blood pressure and stroke. This generation of Australians will likely be the first not to live longer than the previous generation. What a legacy to leave our children. There are many causes of our deteriorating health, but there is one major factor associated with all these conditions – too much added sugar. By “added sugar” we mean sugar added to food and drinks such as soft drinks, breakfast cereals and processed foods. It does not include sugars found naturally in fruit and dairy products. Simply put, it is sugar we don’t need, and sugar that will potentially harm us and our children. Which is why today, on World Obesity Day, we launched a new national health campaign, SugarByHalf, encouraging people to reduce their intake of added sugar by half. The WHO’s latest Global Burden of Disease report highlights obesity as the leading global cause of disabilities. The five primary conditions that are linked to increases in body mass index are high blood pressure, high cholesterol, coronary heart disease, stroke and Type 2 diabetes (T2D). Beyond these major conditions, being overweight and/or obese also increases the risk of numerous other disorders including osteoarthritis, gout, non-alcoholic fatty liver disease, gallstones and cancer. Almost two million Australians have diabetes, the vast majority T2D. Someone is diagnosed with T2D every five minutes in Australia. The total annual cost impact of diabetes in Australia is estimated at $14.6 billion. Non-alcoholic fatty liver disease (NFLD) has reached epidemic proportions, and cardiovascular disease continues to be a leading cause of morbidity and mortality in this country despite successful public health campaigns to reduce smoking and the intake of saturated fats in our diet. Childhood obesity is associated with a higher chance of obesity, premature death and disability in adulthood. But in addition to increased future risks, obese children experience breathing difficulties, increased risk of fractures, hypertension, early markers of cardiovascular disease, insulin resistance and psychological effects. More than 50 per cent of Australian children have tooth decay with an annual cost of $4.6 billion. At the root of much of this deteriorating health is added sugar. Teenagers have more than 20 teaspoons a day, more than the average Australian’s intake of 16 teaspoons every day. WHO recommends no more than 10 per cent of our daily calories should come from added sugar and suggests that reducing this to 5 per cent is even more beneficial. That 5 percent equates to about 6 teaspoons of sugar a day. The American Heart Association (AHA) has recently recommended a maximum daily added sugar intake of 9 teaspoons of sugar for men and 6 teaspoons for females and teenagers. They suggest no added sugar at all for infants under 2 years. Sugar-sweetened beverages (soft drinks) are the major contributor to the high level of added sugar intake, especially among young people. A typical small (600ml) bottle of cola contains approximately 65 grams of sugar or 16 teaspoons – more than double the ideal daily added sugar intake. 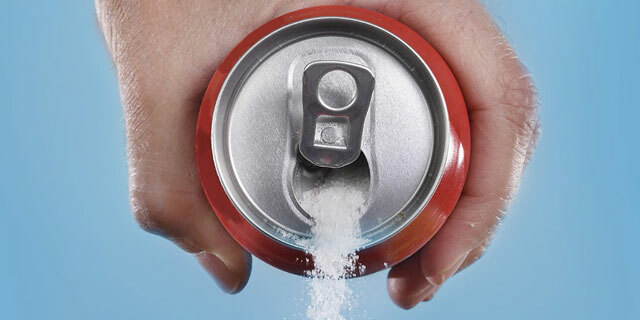 Research has shown that increasing consumption of sugar-sweetened beverages by one can (340ml) per day was associated with a 22 per cent greater incidence of T2D. High levels of sugar are also found in cakes, ice cream, biscuits, and lollies. 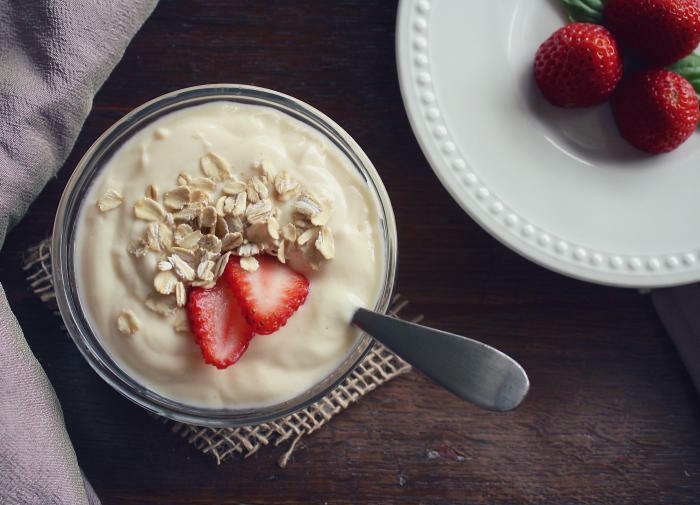 While most Australians are aware that these “discretionary foods” have a high sugar content, they are probably unaware of the hidden sugars contained in 70 per cent of packaged foods including cereals, snack bars, salad dressings, take away foods and sauces. For instance, one 930 ml bottle of a well known BBQ sauce contains 495 grams or 125 teaspoons of added sugar – nearly half a kilo! Our campaign, SugarByHalf, aims to reduce the daily intake of added sugar by Australians by one half. If we can do that, it will have a massive impact on the health of this country. We want to give people the means to reduce their sugar intake and improve their health while still really enjoying their food at a reasonable cost. We will highlight the sources of that sugar – both the obvious ones such as sugary drinks, but also the hidden added sugars present in most of our packaged food. We want more and more people to replace processed foods with real food – Just Eat Real Food (JERF). We are encouraging Australians to initially do three things on our website. Sign up and commit to reducing your intake of added sugar by half. 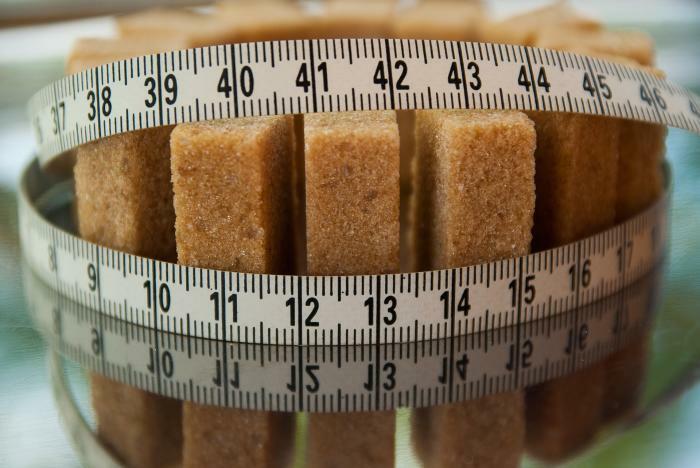 Use our Sugar Calculator to work our how much sugar you are actually consuming. Then finally do a “Sugar Swap.” Swap a sugary item for an alternative with low sugar. For example, swap a soft drink for water, or a very sugary fruit yoghurt for plain Greek yoghurt. There are lots of other things that we can do to help reduce the intake of added sugar. We need improved food labelling so we know how much added sugar is in our food. We must prevent the junk food industry from targeting our kids with personalised text messages, toys, ads and marketing. Health warnings on food and drinks with high sugar content have been shown to be effective, and the introduction of a sugar tax similar to that in Mexico and planned in the UK should be given serious debate at government level instead of knee jerk reactions pandering to the junk food industries. Added sugar is “the new tobacco”. This article first appeared in Pursuit on 11 October 2016. View the original article.